Maruti Suzuki Alto has achieved a new record of selling 20 lakh units. Launched in 2000, the Alto took eight years and three months to clock the first 10 lakh units sales but now, it just took three years and six months to clock the next 10 lakh units sales. Alto was the largest selling car across the world in 2010. 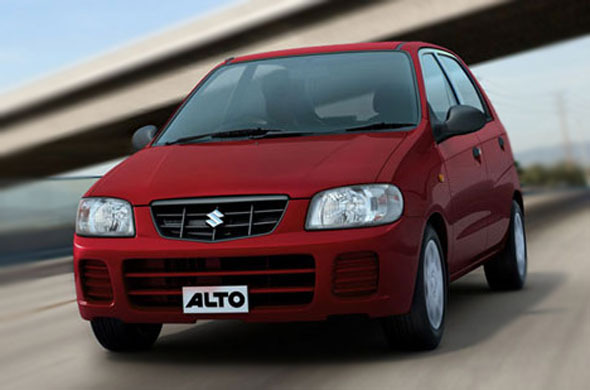 During 2010-2011 fiscal year sales of Alto hit the 3 lakh mark and even during the last fiscal, 2011-2012, sales of Alto once again hit the 3 lakh mark. “The Alto’s superior fuel efficiency, compact sleek design, good maneuverability and overall low cost of ownership are the attributes that make it the best car for first time buyers, “ Mayank Pareek, COO (Marketing & Sales), Maruti Suzuki said. He added that the Alto, as a complete package, continues to win customer’s hearts and surprise everyone with its performance. The Alto is offered in two engine options: 796 cc engine and 999 cc engine. The 796 cc, three cylinder petrol engine puts out 46.3 Bhp and returns a claimed mileage of 19.7 Kmpl while the 999 cc engine puts out 67 Bhp of power and returns a claimed mileage of 20.2 Kmpl. The car is also offered in CNG for the running-cost conscious buyer. The Alto comes in three variants, base, LX and LXi. The top-end variant LXI gets power steering, fabric seats, remote fuel lid opener and integrated rear seat headrests. The Alto is priced in the range of Rs. 2.40 lakh – Rs. 3.39 lakh, ex-showroom, Delhi.